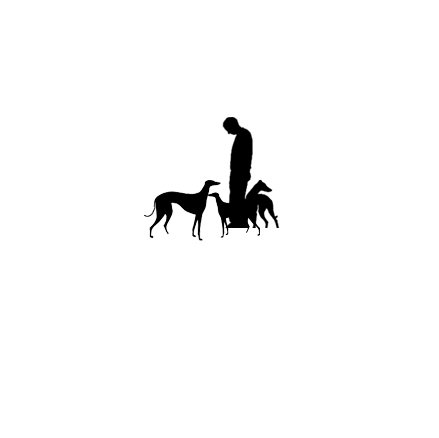 Thank you for shopping at Greyhound Coats by Chrisanthemums. In February I bought three coats by Chrisanthemums. I just wanted you to know how great these coats are. They are so well made and fit perfectly. It is very hard to find quality these days but these coats are top quality and I thank you. Needless to say I will recommend these coats to every Greyhound owner I know. Measure your hound from the base of the neck (down below the collar, where the neck meets the back), along the spine, to the base of the tail. in inches. The jackets come in four sizes; Small-24", Medium-27", Large-30"- and Extra Large-33". If your dog falls between two sizes, order the next size up. Custom jackets will be specially made for smaller than Small and larger than Extra Large. Italian Greyhound jackets are custom made, and require only the measurement from the base of the neck to the base of the tail. NOTE: Most female Greyhounds wear Medium and most Male Greyhounds wear Large. The small is made for 45-50 pound females and the XLarge is made for the 90-95 pound males. If you prefer to order a Greyhound Coats by Chrisanthemums coat offline please print and mail the order form. Your satisfaction is important to us. We ship via United States Postal Service Priority Mail. Shipping is estimated time is 7-10 days. You will be notified by phone if you order will be delayed.